Iron Dog Studios has launched another Irish-themed slot with a smooth gameplay by the name of Rainbow Wilds. The slot is playable on all tablet, mobile and desktop devices. The tumbling reels offer the steady stream of nice action together with the opportunities to land huge wins in the bonus round. The players can place the min bet of 20p and the max bet of £100 per spin. The healthy return to player percentage of Rainbow Wilds is 96%. The reels have been placed against a green, lakeside backdrop. The players can view various berries instead of the playing card values. These are joined by the harps, hearts and glasses of stout as well as golden birds, 4-leaf clovers and horseshoes. Also, 20 times of the player’s stake are on offer when they land five clovers on the adjacent reels. The slot contains a standard Rainbow Wild, that can swap for all the non-wild icons on the reels second, third, fourth and fifth. There is a sticky Wild, on the third reel only and it will only disappear when it is a part of the winning combo or no more wins can be there in that spin. Also, it even has the Expanding Wilds, that can occur on the reels second, third, fourth and fifth. The players will easily know when 1 has landed because the entire row will turn up into the rainbow, along with all the four positions turning wild. 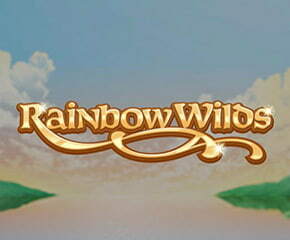 Free Spins – Rainbow Wilds is played using the tumbling reels feature. After the winning spin, successful icons get removed and those above will drop down in order to replace them. This will keep on coming until the new winning formation gets created. Landing four or more tumbling reels wins in the row will trigger free spins feature. Four tumbles will grant fourteen spins. Five tumbles will grant sixteen spins. Six tumbles will grant sixteen spins starting with the 3x multiplier. Seven tumbles will grant twenty spins starting with the 3x multiplier. Eight tumbles will grant twenty spins starting with the 6x multiplier. Thus, each of the successive tumbling reels will boost the multiplier by 1. 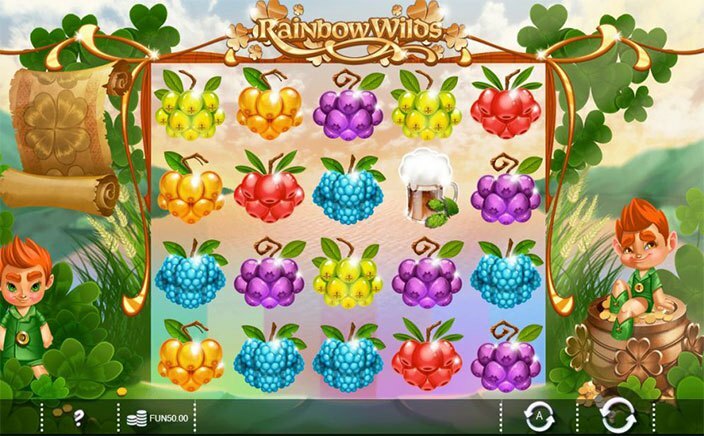 Rainbow Wilds is an interesting slot with bright graphics and an appealing soundtrack. Due to its amazing bonus feature, the slot offers impressive gaming experience to its fans. This is a medium variance slot and thus, the players can attain worthy wins.